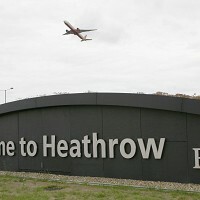 The lack of extra capacity at Heathrow is costing the country £14 billion each year in lost business - increasing to £26 billion a year by 2030 - a new study published by the airport suggests.It may also be costing passengers' money on their travel insurance due to more delays and missed flight connections. Airport bosses would therefore like to see a third runway built in west London.. The study also said that Britain required one hub airport in order to compete with the rest of the continent, but stressed that having two airports act in this role (dual-hub plan) was not an effective solution. Joining Gatwick and Heathrow airports (Heathwick plan) by a railway was also labelled as "unviable" in the study. Economics consultants Frontier Economics, which prepared the study, said: "The choice for the UK is not between two hubs or one, but between one hub or none. Only a single airport can operate as a hub in the UK. That leaves three options for the UK Government: It can do nothing and let the UK fall behind its European competitors at the cost of lost growth and jobs; it can add additional capacity at Heathrow; or it can close Heathrow and replace it with a new hub airport."